Reiki is a very gentle Japanese technique for stress reduction and deep relaxation. By the laying of hands on the body the Reiki energy promotes health and healing through the stimulation and flow of Qi or life force energy throughout your body. 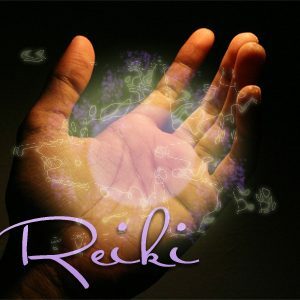 Reiki pronounced RAY KEY is made up of two Japanese words “Rei” meaning Universal and “Ki” meaning Life Force Energy. Reiki was developed in the 1920’s by a Japanese Buddhist by the name of Mikao Usui. Since then it has been adapted across many cultural traditions becoming what it is today. Recite the 5 principles morning and evening, and keep them in one’s heart.